While most of the planets seen outside our solar system have been observed orbiting a distant star, one of the most recently discovered exoplanets found was seen wandering the depths of space without the warming comfort of a nearby sun. The newly discovered planet PSO J318.5-22 is 80 light-years from Earth and has a mass about six times that of Jupiter. According to a study in Astrophysical Journal Letters that described the discovery, the planet was formed only 12 million years ago — a newborn in planetary time. PSO J318.5-22 isn’t the first free-floating planet ever discovered and scientists have never been able to determine if these objects were orphaned planets or defunct stars. The scientists who discovered this latest wandering celestial body say they’re sure it’s a planet. The team was able to spot this planet based on its emission of infrared light. It light is about 100 billion times fainter than the planet Venus. The planet’s infrared signature was identified by the Pan-STARRS 1 (PS 1) wide-field survey telescope atop Haleakala, a shield volcano on the Hawaiian island of Maui. 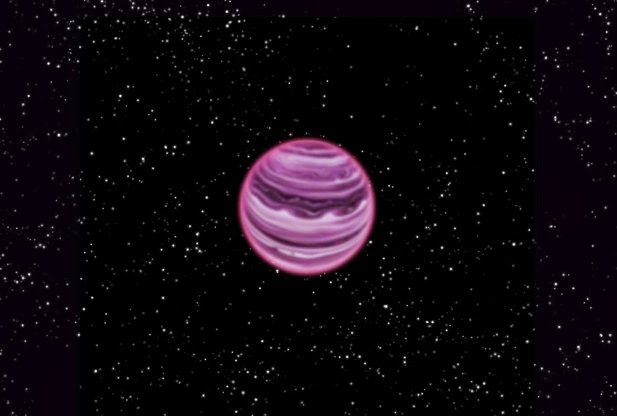 Astronomers spotted the planet while looking for failed stars known as brown dwarfs, which appear as very faint and red- colored objects. Found among the objects seen in the images taken from PS 1, PSO J318.5-22, appears to be redder than even the reddest brown dwarfs ever seen. “We often describe looking for rare celestial objects as akin to searching for a needle in a haystack. So we decided to search the biggest haystack that exists in astronomy, the dataset from PS1,” said study author Eugene Magnier of the Institute for Astronomy at the University of Hawaii at Manoa. Led by Magnier, a data processing team regularly combs through the images taken by PS1, which generates the equivalent of 60,000 camera phone pictures each night. The complete data set to date is approximately 4,000 terabytes. The observations pulled from PS 1 were followed up by analysis of observations using the Gemini North Telescope and the NASA Infrared Telescope Facility on the summit of Hawaii’s Mauna Kea. The astronomers determined that the strange object they had discovered had an infrared signature more consistent with a young planet-like object. The scientists proceeded to monitor the object for two years using the Canada-France-Hawaii Telescope to calculate its path and its distance from Earth. The team decided that the planet is associated with a group of young stars called the Beta Pictoris moving group, which originated about 12 million years ago. They theorized that either gravitational forces booted PSO J318.5-22 out of its orbit after formation or it was formed by a unique method. According to Niall Deacon of the Max Planck Institute for Astronomy in Germany, the wandering planet will help astronomers get a better understanding of other similar planets that may be orbiting a distant star.